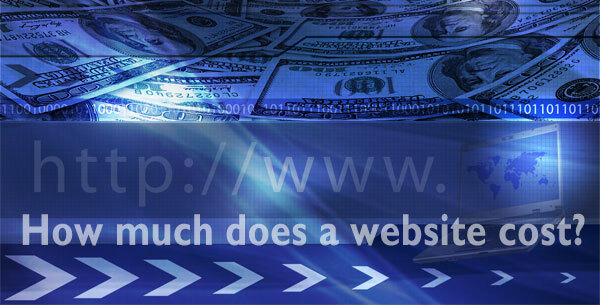 How much does a website cost? If you are visiting this page looking for a definitive answer then I am going to disappoint because pricing a website can be a complicated process but it is a question on every potential client’s mind. The cost of a web site is a little bit like the cost of a house, the bigger and more complex the heftier the price tag. So lets break things down a bit to give you an insight as to where the costs lie and walk through some client scenarios. Lets first consider the type of company quoting your project. A design agency with a portfolio full of fortune 500 companies and a trendy studio in a skyscraper in down town Chicago is going to charge more …well.. because they have to to cover their costs. If you are large company with mega$$ they may be a good fit. An offshore, say, Indian based web design company, may give you an unbelievably cheap quote but how comfortable are you doing business that way? A good approach to selecting a company to quote your project is to take a good look at their portfolio and services and if their offerings match what you are after, they are worth a call. Also don’t be afraid to check out any testimonials. Any decent web design company will lead you through a discovery process (ours is free) to understand what it is you want to accomplish with your web presence. Come prepared to talk about your marketing objectives, the type of functionality you’d like on your site ( e.g shopping cart, content management, video integration, social media, blogging capabilities etc. ), who your customers are, who you competition is and what makes you unique. The more information you can provide at this stage the better, as the information will be used to create a comprehensive proposal which will outline the best plan of action to achieve your goals and a realistic price. A small interior design business requires a simple online brochure type website to market their services. They would like to set up a Facebook page, an email management tool so they can send out a newsletter and a Pinterst account to pin photographs of their design work. They serve a local area and would like to rank well for anyone carrying out a local search for an interior designer- they are not interested in paid advertising although this may change depending upon the site traffic. They already have an offline brand image but require a domain name. The site will be between 10 and 12 pages in total. A company offering summer camps wants a web site they can manage themselves. The would like to upload photographs of camp events and allow parents to register their children – they already have an online application to allow this through a 3rd party but this need to be integrated seamlessly into the site. They would also like to be able to write a blog. They have a Facebook profile already set up but this to be linked to the site. Most of their customers are by word of mouth but they would like a basic SEO and search engine submission. They have a comprehensive offline style guide and already have a domain name. The site will be approximately 25 pages. A small business want to launch an online store to sell their products. They also want the ability for their clients to sign up for an e-newsletter which will offer monthly promotions. They need assistance in selecting a provider for these email blasts and a custom template designed for the newsletter.They already have a merchant account set up and are interested in paid advertising to generate traffic. They have a logo and all copy for the website ready. As you can see the price range for a website can vary dramatically depending on what you want it do do and want to achieve. If you would like us to quote on your next website give “The Chicago web Designer” a call at 847 607 8679, we may be a Chicago web design company but we don’t have a trendy studio in the city and don’t charge ridiculous prices! This entry was posted in Chicago Web Designer, Facebook, Free!, Internet Marketing, Pinterest, SEO, Social Media, Social Networking, Testimonials, Uncategorized, Wordpress and tagged Blogging. Bookmark the permalink.